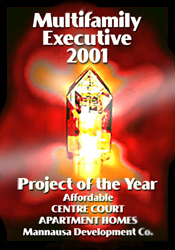 Multifamily Executive 2001 Project of the Year Affordable: Centre Court Apartment Homes by Mannausa Development Company. T. Mannausa & Company, Area V, Outstanding Management Award, 1998. T. Mannausa & Company, Florida, Outstanding Management Award, 1998. Outstanding Management Company of the Year 1998 for the State of Florida Rural Development by the Florida Council for Affordable & Rural Housing. "...numerous Longboat Key Garden Club awards for effectively maintaining and landscaping a number of properties located on Loanboat key, Florida." 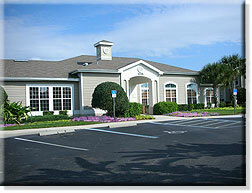 Manatee County 1989 Good Planning Award of Excellence: Conquistador Village Plaza. Honored as a quality development project in Manatee County.